Fr. Eugene J. Weitzel, CSV, died April 30, 2015 at Synders-Vaughn Haven Hospital in Rushville, IL. He was 88. Fr. Gene was born March 5, 1927 in Chicago, the son of Frank and Frances Julia Weitzel. 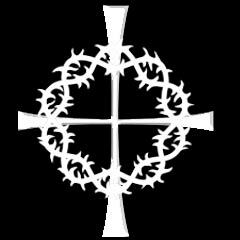 He was preceded in death by his parents and his brother, Frank C. (Beverly) Weitzel. He is survived by his brother Harold J. (Theresa) Weitzel, along with several nieces and nephews. Fr. Weitzel graduated from Cathedral Boys High School, Springfield, IL in 1945 and began undergraduate studies at Springfield Junior College. 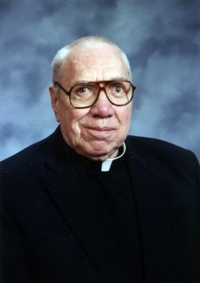 He pronounced his first vows on Feb. 5, 1951 and was ordained to the priesthood on Jun. 6, 1959 in Washington, DC by Bishop John M. McNamara. He earned a B.A. in Philosophy from St. Joseph College in Rensselaer, IN, an M.A. in Education from DePaul University in Chicago and a Doctorate in Sacred Theology from the Catholic University of America in Washington DC. During the years 1951 to 1955, Fr. 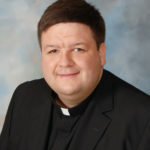 Weitzel was assigned to St. Patrick Church in Kankakee, as well as the Viatorian Central Park House in Chicago where he taught at St. Philip High School. From 1955-56, he taught at Spalding Institute in Peoria and for the next year at Cathedral Boys High School in Springfield. After ordination, Fr. Gene taught at Griffin High School in Springfield until 1971 when he became chaplain at St. John’s Hospital in Springfield. He ministered at St. John’s for 18 years. In 1989, Fr. Gene received what would be his last assignment, as pastor at St. Alexius Church in Beardstown, IL. He faithfully served his parishioners until his retirement in 2006, and he continued as part-time sacramental minister at St. Alexius, until 2011. A memorial Mass took place May 12 at St. Alexius Church, celebrated by Fr. Thomas von Behren, CSV, his former student and Viatorian provincial. Interment was at Calvary Cemetery in Springfield. Please remember Fr. Gene in your Masses and prayers. Taken from a letter dated April 30, 2015 to the Viatorian Community from the Rev. Thomas von Behren, CSV, provincial.